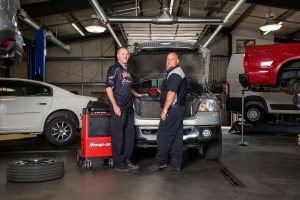 JOIN THE HIGH TECH AUTOMOTIVE FAMILY OF SUPERSTARS AT WENATCHEE’S LEADING AUTO REPAIR SHOP! Thank you for your interest in our company. High Tech Automotive is a premier facility and we have been serving Wenatchee area since 2004. We are always looking for qualified individuals who share our commitment to giving our customers top quality service. 2. Or fill out our Contact Form below.